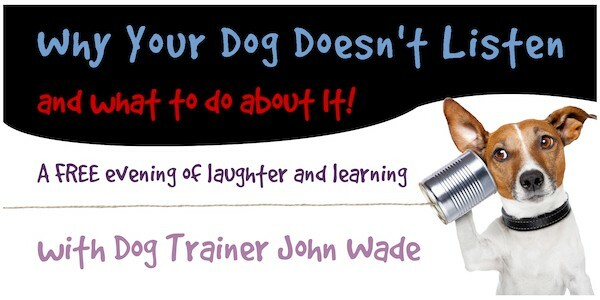 I am approaching my 30th year training companion dogs on a full-time basis. Also, I have worked handling and training dogs in the television and movie entertainment industries. I have participated in the education of many veterinarians and registered veterinary technician students and graduates. 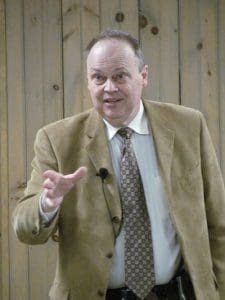 I have and continue to provide seminars and lectures for various associations on topics related to companion dog training and behavior problems. I have written many books and articles on a variety of companion dog and breed specific issues. I also provide seminars for various corporations and member associations regarding employee safety around dogs. There are mainly four different approaches to companion dog training. Mine is number 4. ‘All Positive/Purely Positive/Force-Free…’ is the most common and ironically the least supported by any science whatsoever but most loudly claims to be supported by science. Perhaps, if one is training animals in controlled environments such as an Orca in an aquarium, a rat in a maze or dog in an obedience or agility ring. However, even after millions of years of evolution no higher order species can be found that relies on this ideology to teach life skills for real-world settings. It is however very easy to market requires very little skill to create the illusion of training where the reality is, in essence, the learning at best of a trick. ‘Might Is Right’ still has its proponents. Very common 30 years ago, somewhat of a yank and crank approach to dog training. Still highly embraced in the hunting, policing, and protection dog communities and less so but still far too common in the companion dog world. There’s certainly more science to support pain as a means of motivating change in behavior (hand on the stove), but it’s a tough way to have to learn life’s lessons (the hard way). There is no science to support it as a methodology that matches the manner in which parents of any higher order social species rely upon as a foundation to their parenting/teaching approach. 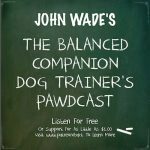 Some trainers describe themselves as Balanced Trainers and try to balance the treats with varying levels of what still amounts to physical corrections but more often than not the ratio leans more towards the positive, outweighing physical corrections. Far fewer dogs are ruined by this approach than the two mentioned above as it more closely approximates how things work in the real world. However, it is still a binary approach to training and does not reflect how teaching and learning of life skills are hardwired into any of the higher order social species, dogs, wolves, apes, and humans. Fully Balanced Dog Training is by far the most effective but is hard to find because the approach is in its infancy and it requires far more knowledge about human, canine, higher order social species behavior and learning theory than is needed for any of the approaches mentioned above. Fully Balanced Dog Training draws on many scientific disciplines. To name a few; ethology, evolutionary biology and psychology. Is the only companion dog life skill training for real-world contexts approach that has extensive supporting science. Because it is, in essence, working with nature’s template, based on relationship, incorporates the realities of both nature and nurture etc. ; both companion dog owners and their dogs can highly relate and subsequently learn and adapt to it far more quickly than ‘Might Is Right’ or ‘All Positive/Purely Positive/Force-Free…’ ideologies. Mainly because both are already hardwired to use and respond to the approach. 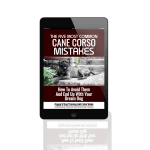 If you’re interested in learning more about all of the above approaches to companion dog training here’s a link to my ebook on the topic. I’ve been writing for many years. I had North America’s most widely syndicated and longest running pet behavior column (some of those columns are found on this site), written for several publications, and have quite a few eBooks on a variety of canine behavior topics. Years ago I found that many clients were perfectly capable of teaching their dogs, but things had progressed down the wrong road long enough that they struggled from a practical perspective with their dog’s physicality. Because their dog was or thought it was stronger, the dog had decided to listen no longer. Often the dog could merely tsunami them and even when this was not the case they struggled with attaining and/or maintaining their dog’s attention with or without distractions. This often has safety implications for the owner, the dog and sometimes for those that cross paths with either. Theoretically speaking no more than a regular leash and a flat collar or a harness should be necessary. In the real world, especially when things have gotten out of hand, the average companion dog owner often needs a little wiggle room to learn, absorb and address all the factors influencing their dog’s unruly behavior that their dog trainer has to teach them. Also, they require a means to convince their dog that they can no longer physically bully and/or ignore their owners when their owners wish to teach them something. As a result, I designed a simple dog training collar to allow a companion dog owner to stay safer, more easily get their dog’s attention and develop their timing and communication skills so that their dog happily and willingly without yanking and cranking or treat dispensing embraced the student role. I have never felt that dog training equipment should be used as a means to control a dog but as a means to teach a dog to exert self-control. Training should, in essence, create a relationship between owner and dog where the real leash and collar eventually is the owner, and the physical leash and collar is a rarely if ever needed – emergency brake. The collar I designed took on a life of its own and has been sold to companion dog owners and dog trainers for their clients around the world. Some dog trainers refer to it as sort of a “training wheels” for companion dog owners to get them over the hump from where a dog has become used to seeing and treating their owners as a roommate to seeing them as a loving teacher or a parent. It is sometimes called the WadeCollar and/or The Power Steering Dog Training Collar. It’s not a necessary tool for every dog or every dog owner, but many companion dog owners have found that if they cannot get their dog’s attention and/or the dog is simply significantly more physically powerful than they are they just can’t apply what they are learning in their dog training classes. As a result, the collar can be a great transition and often temporary tool. I occasionally take on veterinary students from the University of Guelph during their last year for a one-week behavior elective. I also have provided continuing education credit seminars to veterinary technicians and groomers. I also created employee safety around dogs protocols for Canada Post nation-wide and Municipal Law Enforcement Officers for the province of Ontario. 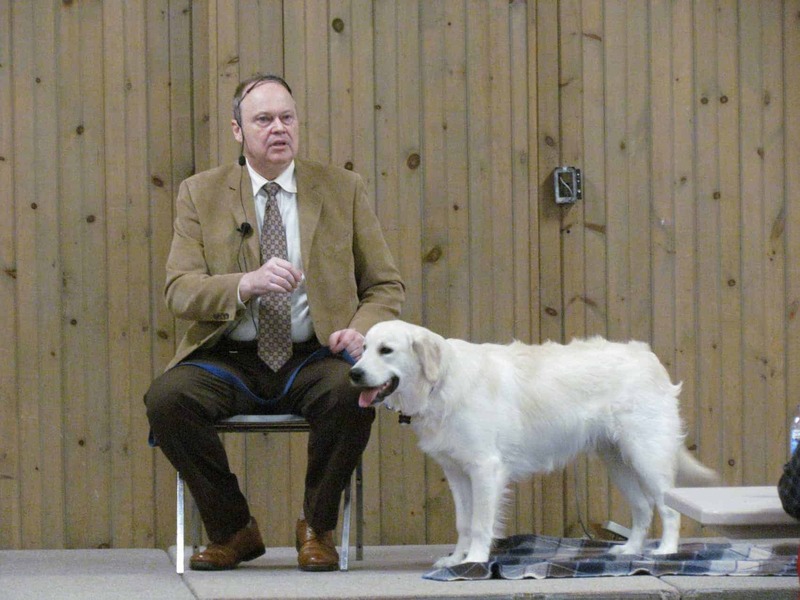 I have a series of talks, seminars, workshops, and seminars on a wide variety of fascinating aspects of canine behavior. Bookings have included short free speeches for service clubs such as Rotary but more often than not are for professional conferences such as The Canadian Association Of Professional Pet Dog Trainers, The International Association of Canine Professionals, The Ontario Association of Registered Veterinary Technicians. The show is called, ‘Why Your Dog Doesn’t Listen’ and What To Do About It. Currently a work in progress. The studio is set up, and I have the topics lined up for a few dozen shows, but I haven’t yet found the time to put together a volunteer production team. Might not get to this until 2020. Old news now but some may remember the television series Due South, for which I trained the dogs. I’ve also done consulting for rescues, humane societies, various pet supply and dog food corporations, the provincial court, and Children’s Aid.